1. 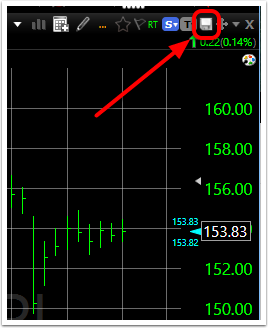 To save a chart, click the Floppy Disk icon in the top right corner of the chart. 2. You will have two options to save. Save Chart allows you to save the chart under the same template name. 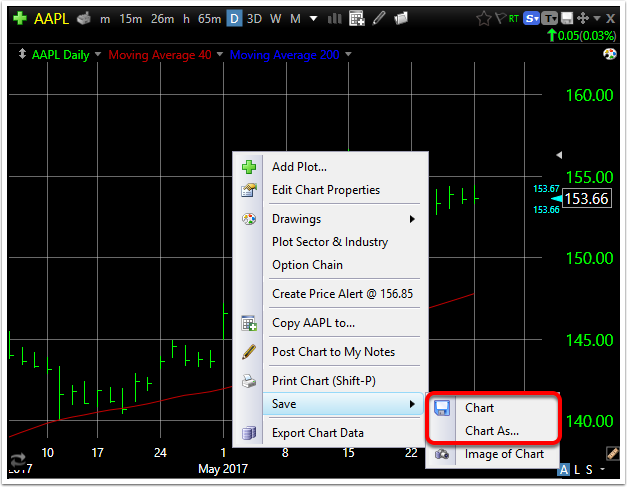 Save Chart As.. allows you to save the chart template under a new name. You can perform the same functions by right clicking on the chart and selecting one of the two save options.